It is February 1999 and I'm sitting beside a campfire with a colleague from the local office, we're in a game reserve, a couple of hours drive outside of Johannesburg, South Africa. It's my first visit to South Africa, I've been here only a few days, and I barely know Sergio, yet here I am, knowing that there is something important, something significant about this weekend. Perhaps that is only the excitement I feel of embarking upon this little adventure, the kind of adventure of which I had only ever dared to dream. Perhaps it is the calming affect of the flames and the twinkling lights of the sky above me, but as our conversation turns to matters of life, despite our knowing each other only for a very short time, I feel completely at ease. A moment arrives and Sergio asks me what it is that I really would like to do with my life, what are my dreams? As I sit there, staring into the flames, my mind becomes blank. There is nothing, only a vast emptiness, static through the radio. I shuffle uncomfortably in my seat, knowing that I should be able to say something, to be able to elucidate a response, but I cannot. "I don't know", I mutter it, feeling a sense of embarrassment that I cannot articulate any deep seated passions in life, that I don't have any clear vision of my future. Sergio surprised me then. Most other people would probably drop the topic, let it go and move on to a subject in which we could both actively engage, but he did not. Instead, he said something that I was not expecting. "Yes, you do", he said. Three simple, one syllable words, that were to change my life forever. Sergio continued to explain to me that I did know what it was that I wanted, only I had locked it away deeply inside. "Everyone has something that they wish to do, something that they wish to be", he told me, "Everyone has a true purpose". Try as I might, that evening, I was unable to find it inside of me. I knew there were elements of things I enjoyed but these were incoherent, they were pieces of a jigsaw puzzle that I saw no way of slotting together. I had always loved the outdoors and nature. Each winter I longed for the onset of spring, knowing that this was to usher in the months of summer, and summer meant I could spend time at the beach and in the sea. I loved to feast my eyes on mountains, rivers, valleys, hills, trees, flowers, grass, wild animals and birds, all of nature, but these alone were not anything that I could do, they were not a plan for the future, they did not constitute a life that I could lead. Although I had told Sergio that I did not know, I did know somewhere deep inside, that it had something to do with all of these elements, but I feared that to say as much, meant that I would look a little foolish in front of a colleague, and so I remained silent and kept this to myself. From this time on, I began to give thought to what it was that I really wanted to do in my life. These thoughts would come and go, and it would take several more years, many different people, many different places, and a single book, before I was to make my own discovery. But the seed had been truly planted and from this moment on, I had begun to awaken to the possibilities, I was becoming open to life. I knew back then that there was a desire inside of me to do something different with my life, something that had greater meaning for me. How then, was I ever going to unlock it and give it the wings that it needed to fly free, if I could not articulate it for myself? And if I could not articulate it, how was I ever going to be able to bring it to fruition? I think this is true for many of us. We have a very clear idea of what it is that we do not want to do in life and we find it easy to say what those things are. However, when it comes to saying what it is that we do want, we find it incredibly difficult to describe what that is. I have asked others the same question that Sergio asked me that evening, and I have received similar responses. People tell me that they do not know what it is that they want, that they know they want to make a change in their life, but they cannot say for sure what that change involves, only that they feel the need to make it. I hear their words and they echo back through time to my own past. Having experienced and learned all that I have during my own journey, I know that somewhere deep inside, every single one of us has our own particular answer. That answer is the truth for your life, it is your one true path. 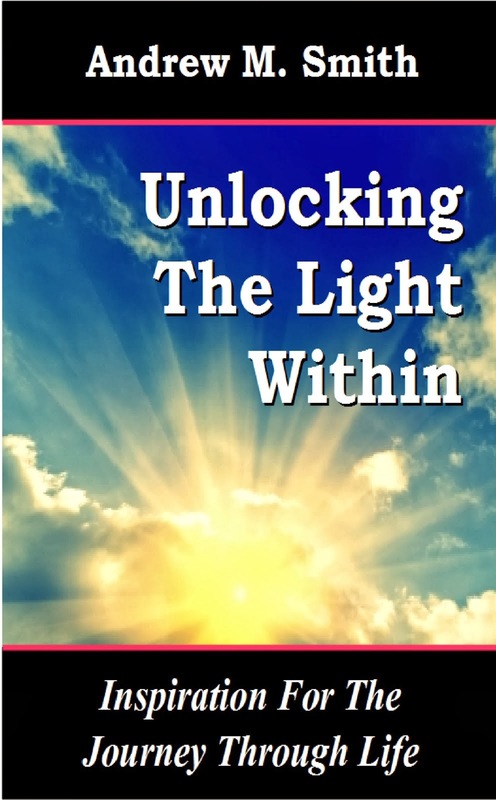 Discovering it, will allow you to unlock the light that lives inside of you. So, why is it easier to say what we do not want, but not so easy to describe to someone that which we do want? I believe that it is primarily out of a sense of fear. Fear of change, fear of the unknown, fear of losing your comfort and security, fear of what people will say, fear of what comes after, fear of failure. There is one other fear: the fear that if you are able to visualise clearly what it is that you want to do, then you no longer have an excuse for not doing it, and if that were to happen, you would live with a constant sense of regret. All of the time that I could not articulate my own vision and dream, I could not make a start, since there was nothing that I could grasp and work on. It was like trying to hold on to mist. In not being able to say what my dream was, I gave myself the ultimate excuse for not beginning, for not doing it. I know that I used to look at other people, all of whom seemed to have such a clear vision for their lives, and I would feel a sense of inadequacy. I know that there was a part of me that felt that I was not worthy of achieving my dreams, that I was undeserving of finding my truth, and because of this, I did not believe that I was worthy of making a start. How did I overcome all these fears? I simply began. I think I always knew that I would begin, I waited only for the right moment and the right set of circumstances. In truth, I didn't just wait, I actively looked for them, I wanted them to come to me, I wanted an excuse to quit my old life and begin the new. And they did come to me. When they did, I seized upon them and I made it happen. I took my first step towards changing my life from the one that I had, to the one that I wanted. I took that step without really knowing what awaited me down the path. I took that first step full of fear and trepidation for what lay ahead. I walked into the unknown and the moment that I did, it was no longer the unknown, it was no longer the fearsome darkness, instead, it became my life. Even though I began my journey, I still had no true idea of what it was that I was going to do, where it was going to lead me. I think that was the point though. My own dream started out as a need for travel, travel that was unhindered by time or any other commitments. What I did was to give myself the opportunity to make discoveries about life and about myself. Along the way, I found what it was that I had been seeking, I found the thing that I had never been able to articulate to anyone before. I discovered the world under the ocean, and from that moment on, my life changed and I began to become the real me, the person I had always born to be. If I had not begun, I could never have made this discovery. I would never know it and everything that has happened since would not exist. Isn't that an interesting thought? So, you may be sitting there, saying to yourself that I was lucky, that I had good fortune and yes, this is true. But that would never have come my way if I had not begun, if I had not taken a chance on life. You may be sitting there telling yourself that you still do not know what it is that you want, that you cannot visualise your own dream. To you I say this: Open your heart. That is where the answer lies. No matter how ridiculous your idea may seem to you, nor how impractical, foolish or silly, if it comes from your heart, then it is your own truth. It is what you must do. If you feel afraid to start, consider how you are going to feel knowing that out there is your dream just waiting for you to find it. I will leave this post with just one word of advice for you: begin. You see, beginning really is everything. Sergio's self-confidence and belief was the key to your life-change. Maybe your self-confidence and belief from your blog has already been the start-push for many others. It certainly had an effect on me in 2005. I don't actually remember at what point I caught the travel-bug from you, but I'm quite confident it came from you. Please keep it up. Keep up the dreams for you and for all of us who cross our paths with yours along the way. I went to Newry and there I wrote a very long letter to myself about what I wanted. You remember how lost I was in my love-triangle.... I needed some clarity in all the mess. And my letter to me contained a plan for backpacking with you. That's for sure. When we next met we started to discuss it all seriously. But I can't remember at all where the idea came from. It must have been conceived in one of our musings on the beach. Funny how clarifying what I wanted did not solve my relationship troubles, but it was still the right decision at the time. I was so focused on sorting out my relationship(s), I don't think I even considered that that was not what needed sorting out. Instead, it was me, my own limitations, my own fears.